Patch 5.24 is on the way and the official patch notes have been posted! 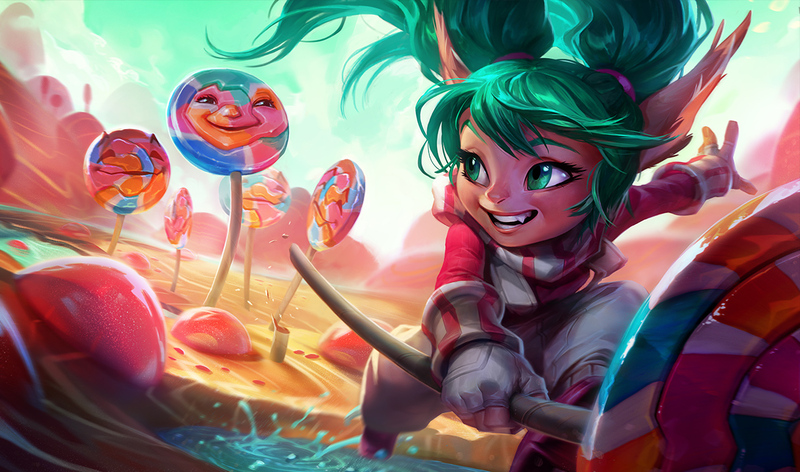 Continue reading for the complete notes, including numerous balance changes, previews of the upcoming Snowdown content, details on the Poppy champion update, and more as we round out 2015! Welcome to patch 5.24, the last one of 2015. It’s been a wild ride with Cinderhulks, Juggernauts and Devourers in-between, but this is no time to get sentimental. It’s still preseason, there are still outliers to balance, systems to maintain and bad jokes to make. 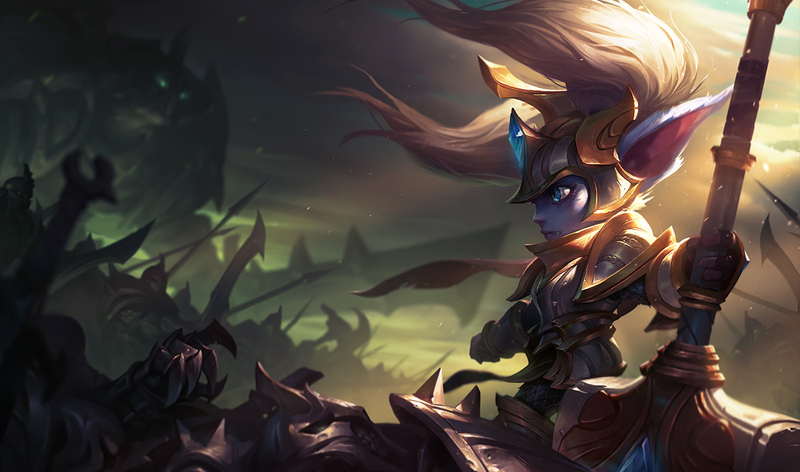 Speaking of balance outliers, we’ve got a lot of balance changes below for champions you might not see often - let’s dive into that for a bit. Like preseasons past, we’ve traveled (via the diversity dirigible, naturally) to an entirely new ecosystem of champion balance, where many old “champion power” assumptions just don’t hold water. 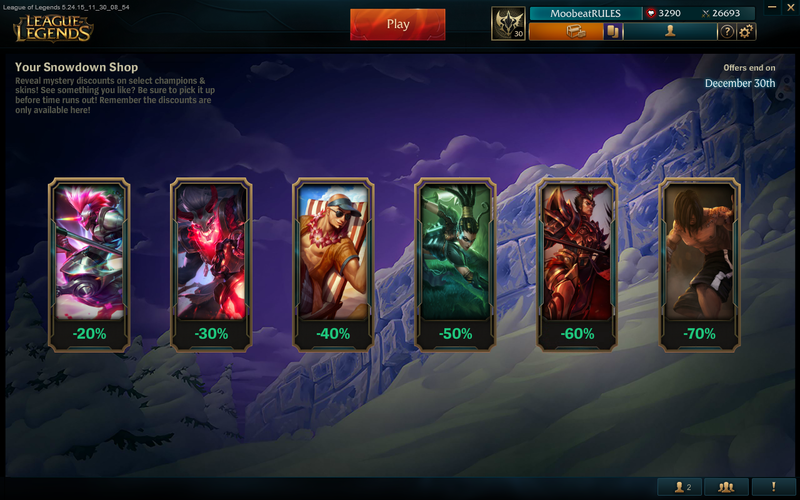 A moment of silence, please, for 4.20 Warwick and 6-cleaver everyone. New systems, masteries and items combine to make weak champions strong, strong champions weak, and Brand a god. So while it may shock you to see champions like Swain and Anivia nerfs, or Riven buffs (gasp! ), keep in mind that we’re working off of as much objective data as we can. Don’t worry, we didn’t forget. With that out of the way, what else is there? 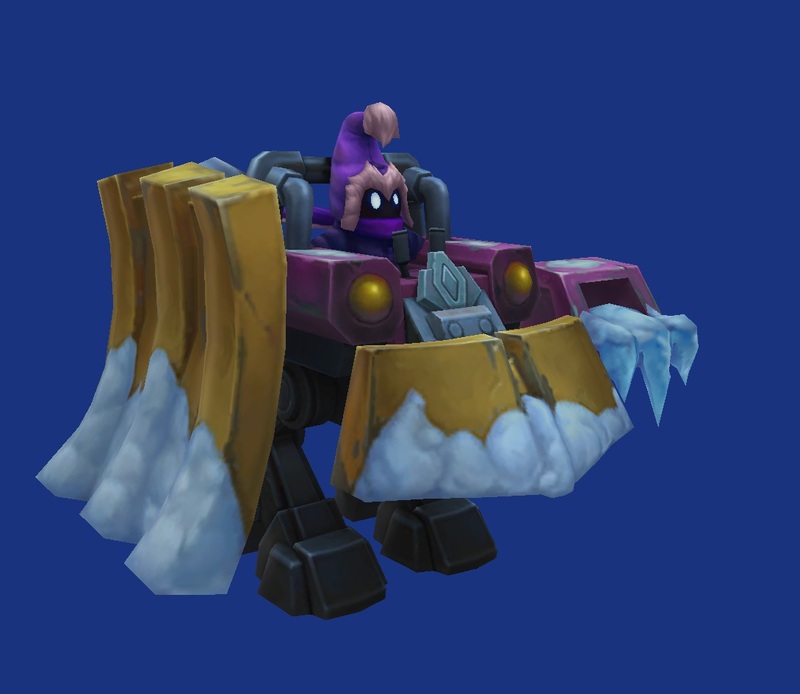 Poppy’s looking cuter and more imposing than ever, Snowdown’s back and brought the Legend of the Poro King game mode with it, and we’ve put the finishing touches on our item and champion tuning before taking a balance break to January. So, from all of us at Riot Games: good luck, have fun, and we’ll see you in 2016. The Legend of the Poro King game mode returns with a new PROJECT: Poro icon joining last year's lineup of icon-infused poro skins! 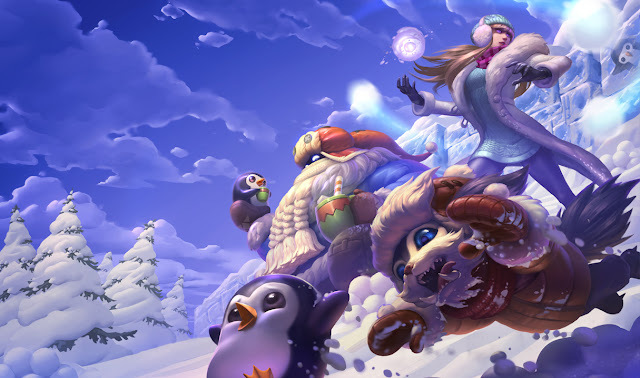 Head over to the Snowdown 2015 site for updates and more details on League's snowiest celebration! In 5.22, Ranger’s Focus underwent a slew of changes to shift Ashe’s damage profile toward sustained combat. Unfortunately, we didn’t hit the mark with Q, so we’re trimming back that stat requirement. Another patch, another set of bugfixes for Azir. W ratio up. Meeps recharge faster. Bard’s the caretaker to call when you need to protect a dimension (or listen to some sweet tunes), but his early game struggles keep him from realizing his destiny. Pretty straightforward buffs to access that early game fantasy. Less health. 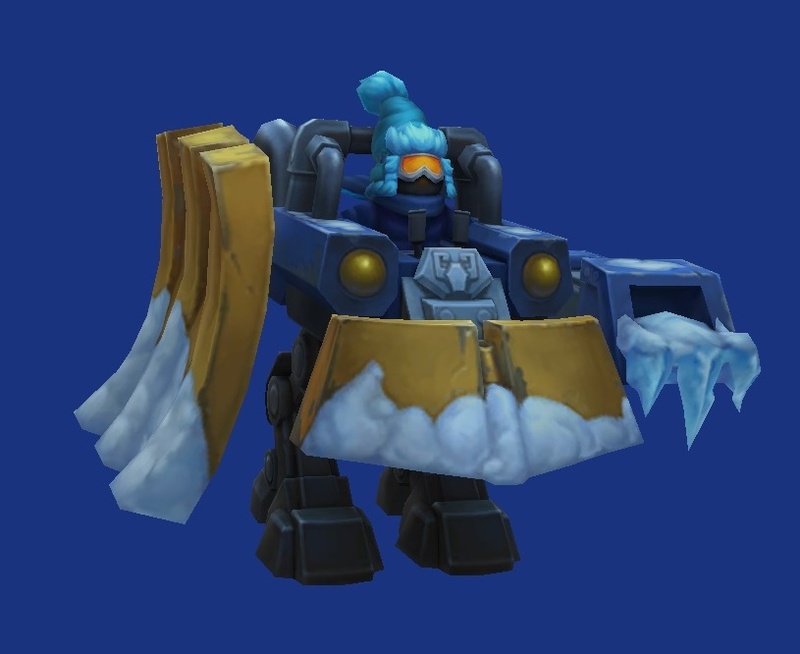 Only ignores unit collision during E.
Hecarim’s engagement pattern is consistently oppressive, and preseason’s only amplified the terror he brings to any 1v1 encounter. We’re emphasizing the value in striking back against him (especially when Spirit of Dread is down), and forcing him to play the same unit collision game as everyone else. No more free hits just because your opponent’s struggling through a blockade of enemy minions, buddy. DEATH MACHINE FOR LIFEHurricane bolts are now mini-rockets while using Fishbones! Wall of Pain’s slow now decays. Another huge beneficiary of preseason, Karthus’s reliability with Wall of Pain makes the follow-up onslaught of Lay Wastes less ‘dodging and weaving’ and more of an inevitability. Karthus still retains his immediate catch potential, but now has to rely on some slick predictions (or follow-up from teammates) before dragging his prey with him to the great beyond. Kindred’s strengths have become pretty apparent as players continue mastering them, utilizing their high damage and sustain to take even the slightest advantage and run rampant. These changes are about restricting access to their more powerful tools when they’re most likely to pull ahead while introducing more risk to their death-defying maneuvers. W’s attack damage ratio is gone, but now has a base damage. Kog’Maw’s the same vomit-happy hypercarry he’s always been, but the update went too far in removing base damages from his kit. What we end up with is a Kog that’s incredibly hard to stop once he gets going, but lacking in the tools to get there reliably. Removing the ratio and reinstating the base does trim Kog’s highs, but gives him an expected damage floor to tap into when he’s not consuming everything. Malzahar’s been sleeping just below the surface of too powerful for a long time, only just recently breaking through the top of Strong Mountain. Instead of taking away from his signature lane control and single-target lockdown, we’re opting to chip away at his unintended strengths, targeting incidental area damage instead. Early ranks of W’s attack speed and E’s slow down. Miss Fortune’s still ruling the laning phase with an iron fist, so we’re taking a crack at draining early power. Specifically targeted at the initial ranks, these changes reduce her raw effectiveness in trades (unless making good use of Love Tap) while adding a level of choice as to which you’d want to max second. Once queen of the jungle, Nidalee’s early game has been suffering when tossing spears at champions and monsters alike. So we’re making them hit harder. context. You’re not dreaming - these are Riven buffs. Anyone playing attack-damage champions that don’t synergize with crit or attack speed is feeling a little sad these days. Just like last patch with Kha’Zix and Zed, this won’t improve heavily until we figure out some item-related solutions, but health regen should help her not lose her lane as often while we work it all out. Given marksmen have less attack damage in their builds, Sivir’s poor performance this preseason isn’t too surprising. She’s always scaled harder with pure attack damage than with any sort of crit synergies, so bumping her ratios a tad should help with her footing while we continue to monitor how she’s doing. E always works, R’s ratio down. Another gank-and-tank jungler, Skarner’s late-game revolves around a powerful mix of crowd control and durability. 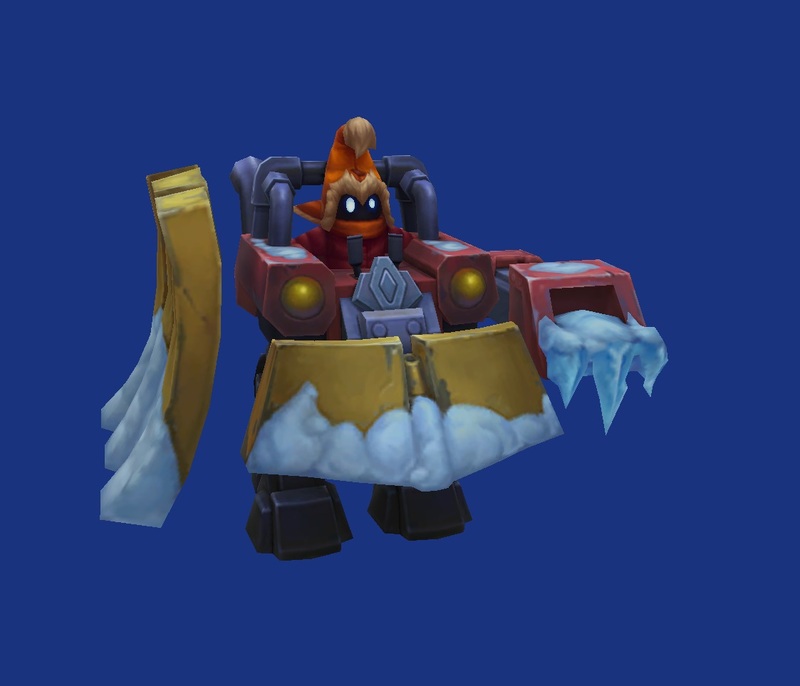 That said, Skarner’s alsomurdering everyone while being tanky, so we’re tuning that down. In exchange, he gets a buff for when we roll out 10v10 combat. Or waveclear. Very minor waveclear. Q range down, W cost up. R no longer removes Grievous Wounds. Preseason brought lots of indirect help to healers, and with the dust having settled it’s time to begin following up on the balance outliers. 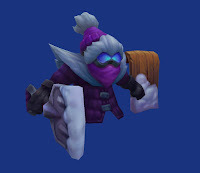 Rather than touching the raw health output of League’s premier healer (™), we’re hitting Raka’s safety to increase her vulnerability and cap just how much healing she can actually do in a fight without a significant build adjustment or masterful positioning. W duration lowered at early ranks. 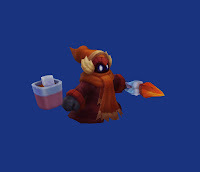 When Swain’s good, his dominance over the lane borders on abusive - and Swain’s pretty good right now, using Corrupting Potions and Deathfire Touches to terrorize the world. We’re making it so that Swain is priced into investing in Nevermove to get the same level of control on his prey. W no longer gives movement speed running away. Tahm Kench. River King. ‘Why didn’t you ban him?’ - whatever name you use, TK’s ability to save allies is the crux of his play-making potential and a cornerstone of his frustration when on the opposing team. We want to preserve Tahm’s clutch moments of supporting carries gone astray, but he should give up some of his personal safety to do so. Given his multiple health bars and massive size, making him slower while sheltering someone in his big ol’ gut makes sense as the first mechanic to send downriver. Like slow creeping fungus, Twisted Fate’s been an under-the-table force for a while and it’s not hard to see why. Unparalleled map presence and point-click stuns reign supreme when it comes to securing leads, and there’s no better time like preseason to take advantage of the chaos. Lowering TF’s mid-game spike and waveclear should buy teams enough time to withstand his pressure game while mounting a response. Three Talon Strike actually works. 5.23 saw X to the Z’s Three Talon Strike refactored under-the-hood, which caused all sorts of unintended problems. We’ve patched him up so Xin’s better suited for the rage of war. Sorry! Passive damage to structures up. 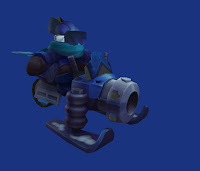 Ziggs is a champion whose performance is tied intrinsically to the pace of the game, blooming when late-game sieges are common and wilting against speedy tower pressure. We’re going easy on the changes as we suss out the systems surrounding game flow, but wanted to send him off with an extra boom for when he’s trying to push an advantage. Monsters have less effective health against magic damage. The below changes are a little mathy, so let’s break it down. At present, Jungle Monsters get tougher solely through health scaling, making it harder for champions relying on magic damage and ability cooldowns to interact with them as the game gets later and later. We’re refactoring how that scaling works so that the attack-damage and on-hit junglers in the crowd have about the same effectiveness, but the Cinderhulks and Runeglaives out there have an easier time cutting a path. It’s now easier to hand off Doom’s Eve. We’re still seeing how Rift Herald fits into the grand scheme of things, so we’re making some improvements to make it easier to hand off the buff to the right person without risk of junglers ‘accidentally’ taking it, or dying to Herald in the process. NEWVOID LOOTKilling Rift Herald no longer automatically grants Doom's Eve. Instead, Rift Herald now drops an Eye Relic on the ground for the killing team, granting Doom's Eve to the player that picks it up. Just a bunch of fixes and refactoring for wards, as preseason introduced a fair bit of inconsistency between different types of wards (and which could see which at what ranges). Now wards should do what you expect them to, as long as you expect them to provide vision. Overall usage and data has pointed to Dead Man’s being far-and-awaythe health and armor purchase for a while now, but we wanted to see how preseason potentially shook things up before pulling the trigger. About a month in and Dead Man’s Plate is more ubiquitous than ever, even when it’s less situationally powerful than, say, Randuin’s or Sunfire - so we’re knocking off some hit points to let the other items compete. Guinsoo’s is intended to have the same area-of-effect as Ravenous Hydra and Tiamat, but was significantly larger due to a bug. So now it’s not larger! Changed the critical strike to cooldown reduction conversation rate. 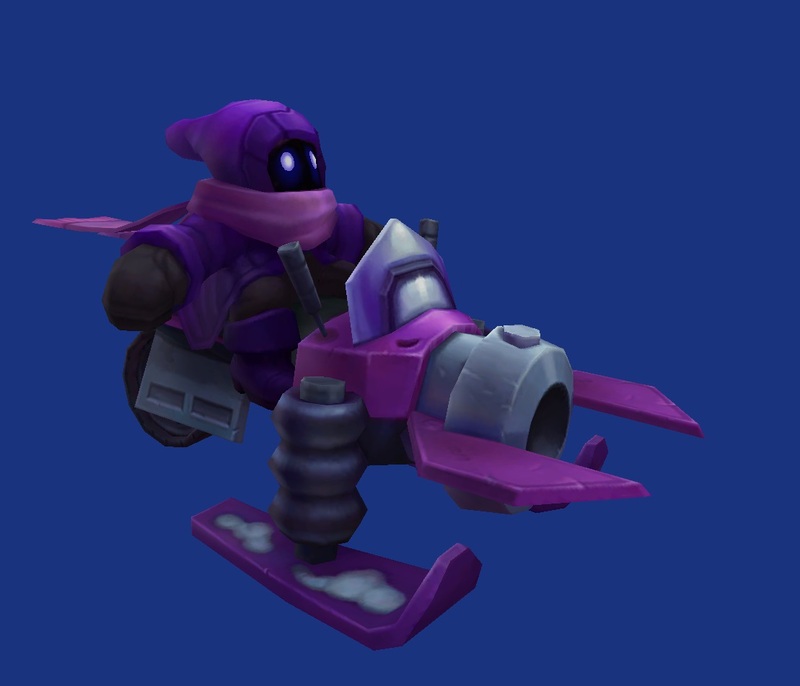 Essence Reaver’s providing a path for spell-casters as intended, but currently turning your next Zeal or Cloak of Agility into a cheap 20% cooldown reduction is a rate other items simply can’t compete with. The math below is a little wonky, but here’s the gist of it - at 20% crit (from say, Zeal), you’ll get 10% cooldown reduction. At 30% crit (from Zeal’s upgrades), you’ll get the same 20% cooldown reduction you’re used to. We’re digging the item’s path and what it does for carries mid-game, but we’re pushing back the ‘1.5 item power-spike’ to keep certain spell-slinging marksman in check. FOR EXAMPLEAt 20% critical strike chance from other sources (two thirds of the max), Essence Reaver grants 10% bonus cooldown reduction (half of the max). Zeal and all of its items cost more. We don’t want to delay marksmen from participating in the game fortoo long, but their ‘1.5 item power spike’ is presently pushing them over the edge. Zeal’s newfound cost-efficiency is one of the culprits of this early-midgame bump, so we’re taking a little off the top to keep the pacing and power-growth of marksmen one that all can keep up with. Damage from Kircheis Shard, Statikk Shiv and Rapid Firecannon no longer stack (effects still do). As sweet as it is to chain-lightning from a million range, it’s clear that the damage from that combination is too high for the safety. We’re keeping the ability for you to stack the effects (because long-range lightning is awesome), but it’ll only take the highest damage of your combined effects to reduce their surprise burst potential. CHOOSE IT OR LOSE ITNow chooses the greatest damage of your Energized attacks for the first target hit, rather than all the damage. Compared to its Zeal brethren, Phantom Dancer’s danced its way out of inventories in favor of newer, shinier Zeal items ever since preseason. While PD could stand to get more power, this is just a love tap - we’ve got more in store for the once-great crit item, but we’re waiting to see the effect of the Energized items not stacking damage before we get too hasty. The rock-paper-scissors of the trinket system is starting to catch on, but the widespread use of Farsight is providing too much long-term vision for teams to keep up with, turning most games into a constant spotlight-search of clairvoyance on both sides. We’re making the trinket less spammable and lowering the vision radius to make it less sufficient in multiples, especially when compared long-term to a few Warding Totems. CLAIRVOYANTNow displays a 'dual' indicator to show both the range of the clairvoyance and the vision range of the ward placed. 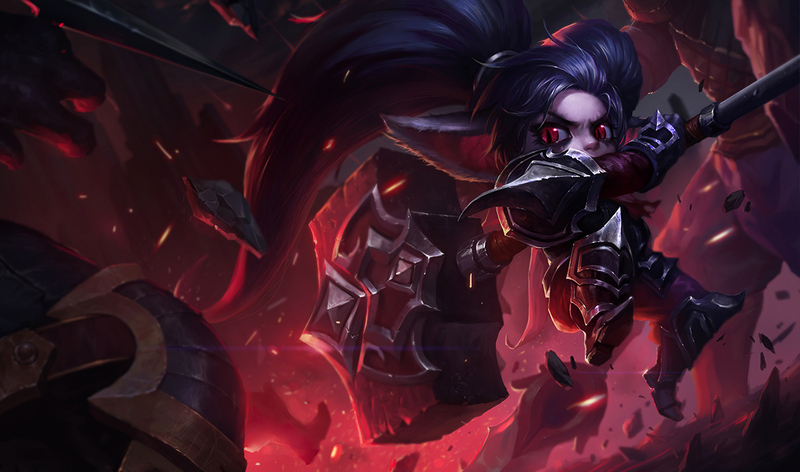 Spoils of War always had wonky interactions with executing clones, but with Illaoi’s introduction to the League (alongside all her spirit pullin’), we thought now would be the time to make the call on whether you should or shouldn’t be able to proc things. 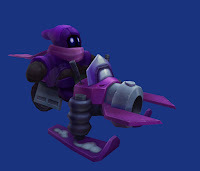 Given that the item’s intent is toward helping allies last-hit, and not surprise-destroying the dreams of champions with clones, we went with the latter. Devourer users were pretty excited about a new Epic monster joining the Rift, ready to sink their teeth in and combine with their ghost dog for maximum wreckage - until they found out it was only giving 1 stack on assist. You may now Devour the Herald in peace. Feast cooldown up. Fervor of Battle slightly reworked, and Deathfire Touch’s damage effectiveness is down. Ferocity is definitely living up to the hype for fighters and mages looking to stay in combat, but provides certain champions too much power relative to the rest of the cast. Fervor of Battle is now about stacking damage against champions specifically, and Deathfire Touch is more focused about consistent applications of damage. Armor penetration and Thunderlord’s ratio increased. New assassin mastery for assassins. Windspeaker’s blessing changed to flat from percentage scaling. Cunning, on the other hand, isn’t pulling its weight when it comes to assassins. To help address their woes (especially the attack-damage ones), we’ve added or boosted damage from the tree across the board to enable the flashy, risky dives and outplays their known for. On the other side of the tree, Windspeaker’s was doing too much lifting toward making end-game tanks unkillable, so we’ve changed it to a flat amount. This makes it more effective on targets with low defensive stats, but less effective on the dude (or dudette) with 400 armor and MR.
Less armor and magic resist, less health, and less bonds of stone. The most robust of the new trees, Resolve’s multiplicative scaling for tanks is simply too high across the board. We’re reducing the effectiveness of the class at the mastery level while adding flat-health options for squishies who actually want some defense, even if they’re not stacking it. Reverting the minion pathing changes made so far in preseason. 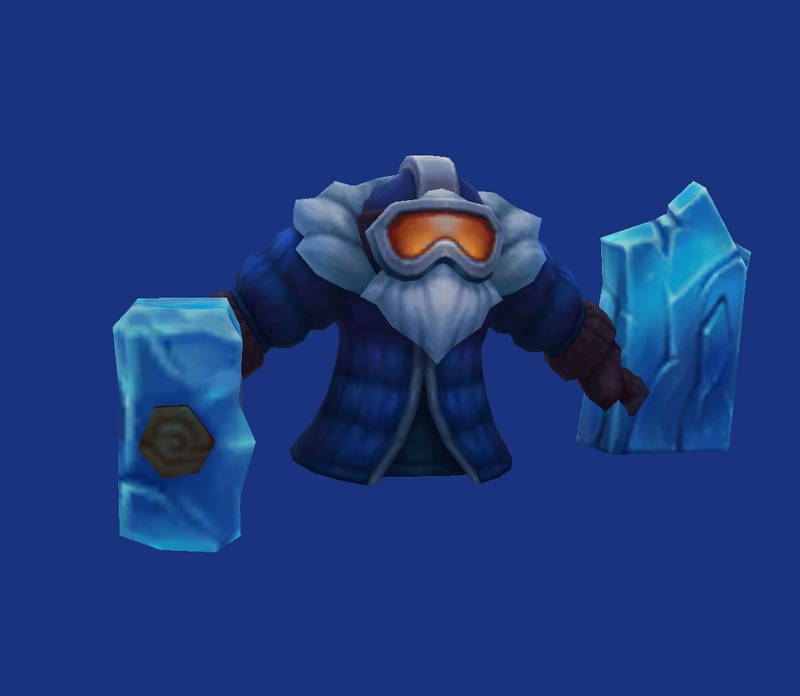 We've made a few changes to minion blocking this preseason, targeted at making creep block more intuitive. When you get stuck in a minion clump you should be able to understand what's happening, and your champ's attempts to escape (or avoid) it should make sense as well. While these changes technically worked, they caused problems when interacting with other systems. We're turning them off until those interactions are fixed. EVERYTHING OLD IS NEW AGAINAll minion pathing changes made in 5.22 and 5.23 have been reverted. We’re right back to pre-preseason while we work on a better implementation. 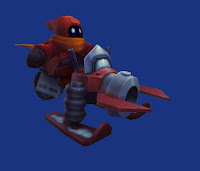 We made some behavioral changes to minions in the very first wave of the game when no enemy champions have interacted with them. Left to their own devices, the minions will spread damage evenly and avoid randomly focus-firing a single soldier. The goal here is that you should be able to more predictably realize whether or not you’ll lose a minion when you get to lane late. This actually went out in 5.23, but we figured you’d like to know! FIRE EVERYTHINGMinions won’t gang up on a single enemy minion when no enemy champions are present. Here's a brief look at a few of the new things included in patch 5.24, including things mentioned above in the patch notes and things discovered during the last PBE cycle! 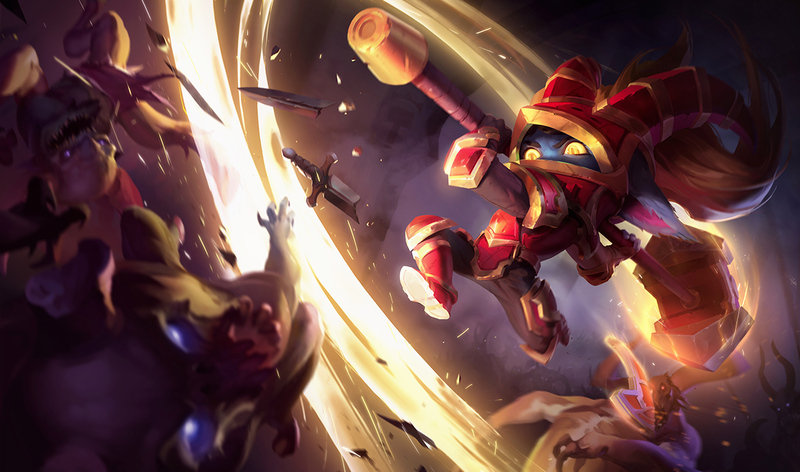 This coverage includes preview screen shots and video taken during the 5.24 PBE cycle and may vary from what is pushed to live. "One whomp at a time!" 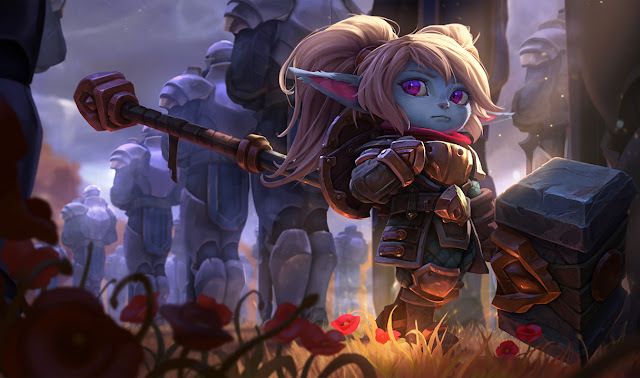 In case you've been living under a GIANT HAMMER, 5.24 includes the Poppy champion update! 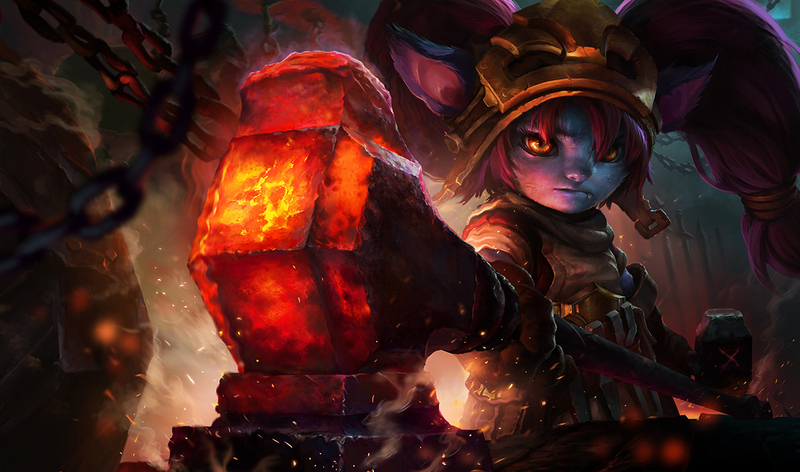 Everyone's favorite hammer wielding yordle has a new look, new kit, new voiceover, and more! 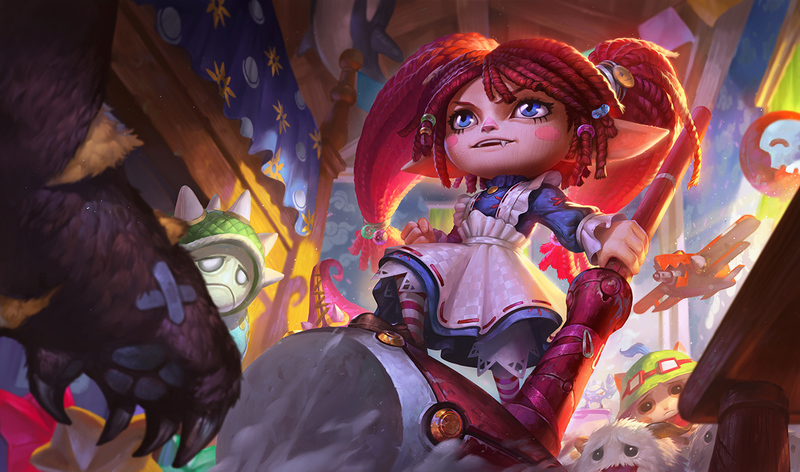 Along with her new look and new kit, each of Poppy's six skins have also been updated with a new splash art and new in-game appearance! 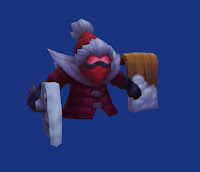 Patch 5.24 is set to include THREE new champion skins - Snow Day Bard, Snow Day Gnar, and Snow Day Syndra! This three skins will debut on DECEMBER 10th and we'll have a full preview up once they are released and available for purchase. 1350 RP / 975 RP on release discount. 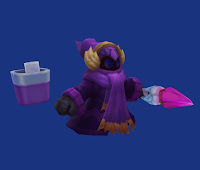 An adorable new ward skin is also headed our way in 5.24! 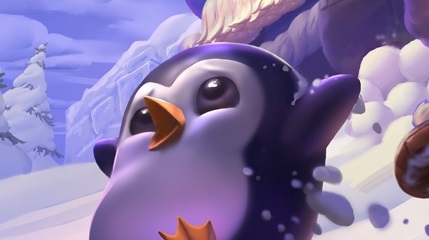 The Penguin Skier ward will be available this Snowdown, Dec 10th - Jan 7th! We also have a cool batch of new summoner icons in this patch! Release details for these are available here - all icons will be available December 10th - January 7th! Along side the returning five Poro icons from last year, we also have a new PROJECT: Poro icon coming in 5.24! 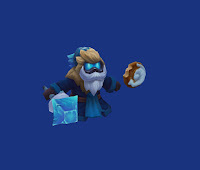 While equipped, this icon will also change your poro in the returning Legend of the Poro King Game mode! This cycle includes two new login themes! New for 5.24, Minions will also be bundled up in Snowdown gear all throughout Snowdown! As mentioned above, Rift Herald will now drop a RELIC on death! Click here for a short video of RH dropping the new relic from the 5.24 PBE cycle! The new Snowdown shop has also been added in 5.24. Starting December 16th, you can visit it via an icon near the normal shop icon to received unique discounts! Preview video & More info here.